Dr. Alex Kaminsky is an experienced chiropractor in New York, NY, specializing in Craniosacral Therapy. Dr. Kaminsky is one of the most trusted and respected doctors of Chiropractic in New York City. He is a Board Certified Chiropractor since the year 2000. During your appointment Dr. Kaminsky will review your past medical history, perform a focused physical exam and engage with you in meaningful dialogue. He will offer a diagnosis, explain everything and answer all of your questions. Together you will agree on a treatment plan, before starting your care. Treatment techniques originate from chiropractic spinal manipulation, manual therapy and craniosacral therapy, among others modalities. Dr. Kaminsky combines effective therapies with an easygoing personality and pleasant bedside manner. 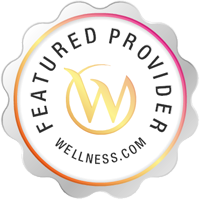 His treatment is individualized and unique producing lasting results. If you are looking for a chiropractor in New York, NY, call Dr Alex Kaminsky, DC at (212) 328-1180. Practice Unique Care Chiropractic, P.C. From my first session of craniosacral therapy with Dr. Alex Kaminsky, I have experienced tangible and impactful changes to my body and I continue to do so each time I see him. I am a singer and my body has responded in dramatically, aiding in my ability to support properly. My breathing has opened. I can feel energy pulsing simultaneously with deep relaxation and sense of well-being. At each visit, Dr. Kaminsky listens carefully to what I have to say. He makes me feel at ease to share openly. He is honest, clear and invites feedback so that I relay what I’m feeling during a session. It is a partnership. He has taught me how to work between sessions to aid in my progress. And I am learning through the work he does on me how to access that wave of energy that feels so healing. I look forward to my sessions with Dr. Kaminsky because each time I feel my body being summoned to open to greater health and wholeness. I have had a wonderful experience working with Dr. Kaminsky. Aside form Chiropractic care, his approach is focused on mind-body healing and he has opened my mind to new types of treatment (craniosacral therapy and energy healing) after dealing with chronic illnesses for so long (lyme disease, autoimmune, etc). Under his care, my pain has diminished and I have noticed positive shifts in my personal life (relationships, love, family, etc), in addition to gaining confidence in my overall decision making. I am excited to continue working with him and exploring the benefits that energy healing and craniosacral work can have on my health and quality of life.